Viknesh Vijayenthiran November 6, 2017 Comment Now! 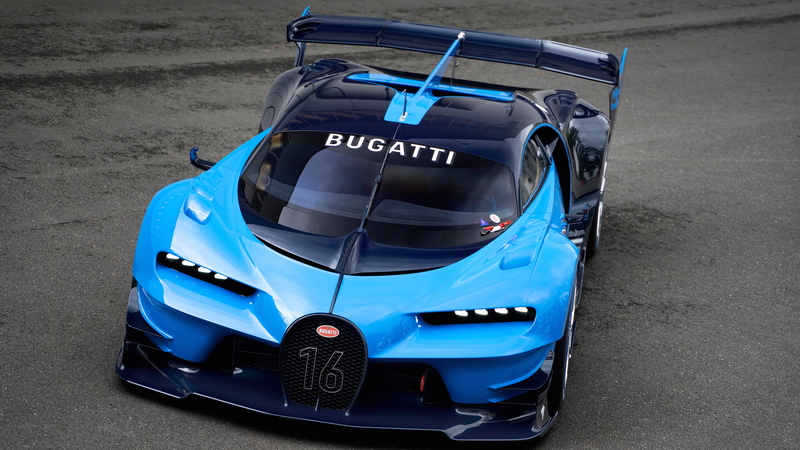 American businessman Hezy Shaked is the new owner of the one-off Bugatti Vision Gran Turismo concept car that was unveiled at the 2015 Frankfurt Auto Show in order to preview the design of the Chiron. 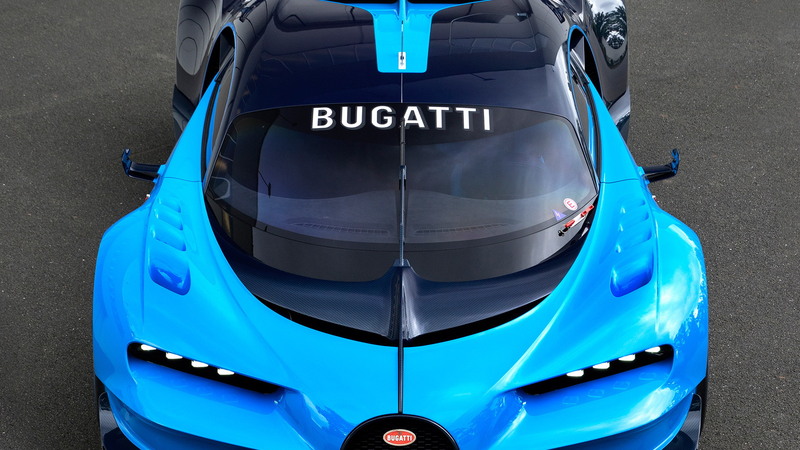 Shaked, the founder of fashion retailer Tillys, recently took delivery of the car which now joins a collection that also includes the first Bugatti Chiron and Lamborghini Centenario Roadster in the United States, as well as a Ferrari LaFerrari and McLaren P1. The Los Angeles resident is also the owner of the red and black Bugatti Veyron Grand Sport Vitesse known as Hellbug. It’s the car that hit 235.7 mph in 2015 during a drive event at Idaho’s Sun Valley. 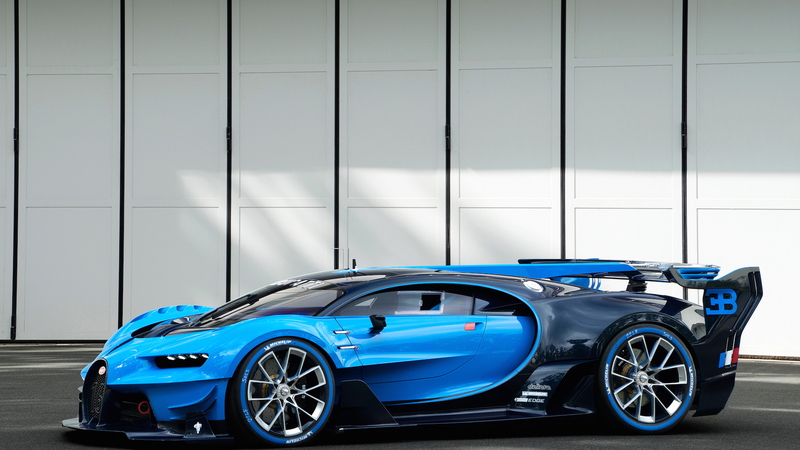 Bugatti originally sold the Vision GT concept in 2016 to a Saudi Arabian collector for a rumored $5 million. Shaked is believed to have paid $5.16 million to be the second owner. It’s a good thing he has deep pockets as maintenance of the car is even steeper than that of a regular Bugatti. According to YouTuber TheStradman, the custom Michelin racing slicks fitted to the car run $93,000 per set. A basic service, which requires a technician to be flown out to handle the task, will run its owner $20,000. The service includes an oil change, a windshield clean, and a tire pressure check. 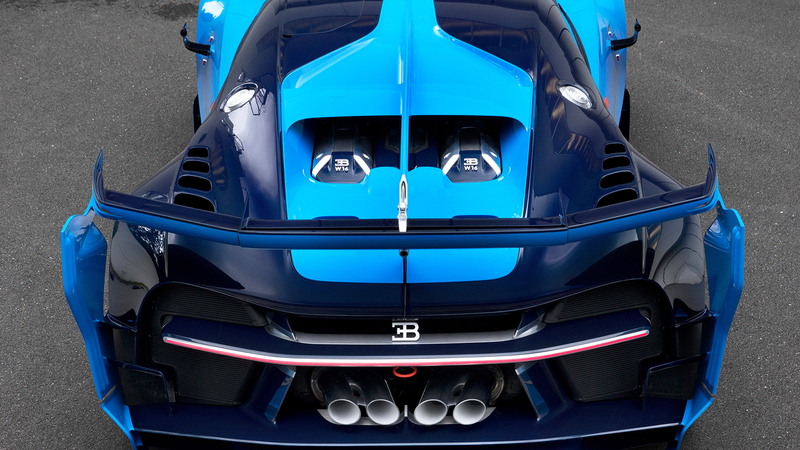 Power in the concept comes from the same 1,480-horsepower W-16 engine fitted to the Chiron. But the Vision GT is a very different car, and we’re not just talking about the way it looks. For example, there are four remotes used to control numerous functions of the car, such as the lighting, suspension and rear wing height. There's also an antenna which needs to be manually attached to the car, and the wheels come with their own custom center lock key. What isn’t clear is whether Shaked will be allowed to drive the Vision GT on public roads. It will be a real shame if the car remains locked up never to be seen. 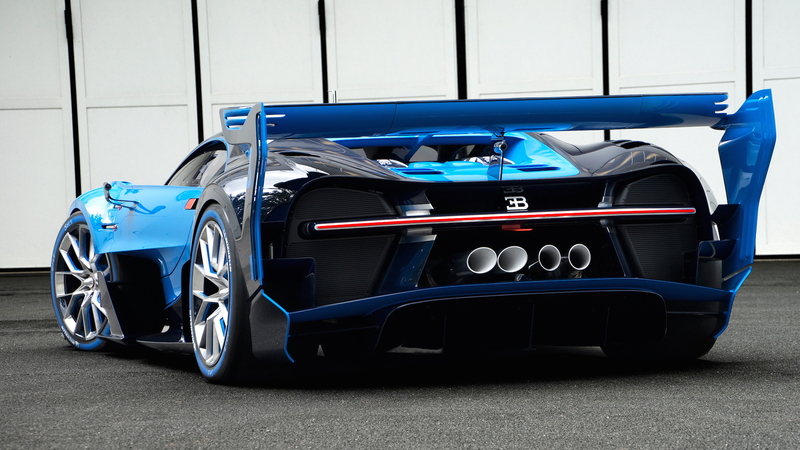 After all, it’s one of the most extreme cars Bugatti has ever designed. Although it wears the modified body of a Chiron, its design was inspired by the Bugatti Type 57 G Tank racecar that won the 1937 and 1939 24 Hours of Le Mans races. And almost every element of the exterior is said to be functional, including the impressive rear wing with supporting fins, as well as the central fin plus the giant NACA duct on the roof.